Over the past 10 year of bourbon tours, we’ve gotten just about every question about bourbon. Here are some of the most common bits of Bourbon 101 knowledge we’re sharing every day on the Kentucky Bourbon Trail®. Does all bourbon come from Kentucky? No, not all bourbon comes from Kentucky. Craft distilleries around the country are producing bourbon in Colorado, Oregon, Texas, Virginia and beyond. In order to be called ‘bourbon’ on the label, there are a few rules. Bourbon must be made in the U.S.A. Currently, around 95% of bourbon is made in Kentucky with enough barrels aging for every person in the state and then some. Whiskey made in Ireland or Japan may check all the boxes for bourbon’s other rules – like being more than 51% corn and being aged in a new charred oak vessel – but it cannot legally be called bourbon. What is the Kentucky Bourbon Trail®? The Kentucky Bourbon Trail® is a collection of 13 bourbon distilleries in the state of Kentucky organized by the Kentucky Distillers’ Association (KDA). 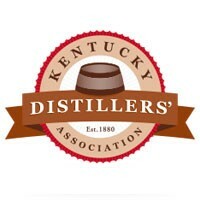 The KDA created the Bourbon Trail® to promote spirits tourism in the state of Kentucky in 1999. Stamp your Kentucky Bourbon Trail® passport at each of the participating distilleries. Follow the map and upon completion of 13 stamps, a special gift is earned. In 2012, the KDA extended the Kentucky Bourbon Trail® to include a “Craft Tour” incorporating 14 craft distilleries for a separate passport program. The Kentucky Bourbon Trail® Craft Tour includes Barrel House, Bluegrass Distillers, Boone County Distilling Co., Corsair Artisan, Hartfield & Co., Kentucky Artisan, Limestone Branch, MB Roland, New Riff, Old Pogue, Wilderness Trail and Willett. What distilleries are on the bourbon trail? Current distilleries on the official Kentucky Bourbon Trail® include: Angel’s Envy, Bulleit Frontier Experience at Stitzel-Weller Distillery, Evan Williams Bourbon Experience, Four Roses, Heaven Hill, Jim Beam, Maker’s Mark, Lexington Brewing and Distilling Co. (Town Branch), Lux Row, Old Forester, O.Z. Tyler Distillery, Wild Turkey and Woodford Reserve. Not all distilleries in the state of Kentucky are members of the KDA or choose to be part of the Kentucky Bourbon Trail® including Buffalo Trace and Barton 1792. Where is the bourbon trail? The official Kentucky Bourbon Trail® spans much of the state of Kentucky. We suggest making Louisville your home base. Most distilleries are in one of three regions. South of Louisville are Heaven Hill, Jim Beam and Maker’s Mark. East of Louisville are Four Roses, Town Branch, Wild Turkey and Woodford Reserve. In Louisville are Angel’s Envy, Bulleit and Evan Williams. Mint Julep Tours visits all of these distilleries on either public or custom bourbon tours. How many distilleries are in Kentucky? As of Aug. 2016, there were 39 distilling companies operating 52 distilleries in Kentucky. Not all of those distilleries produce bourbon. Kentucky is also home to gin, vodka, brandy, moonshine, liqueurs and more. See a complete list of American whiskey distilleries and brands produced. Or search the craft spirits database of the American Distilling Association. Master distiller is an industry term for a senior-level person in charge of the quality of the finished distilled product. This can include development, quality control, production, marketing and more. Some master distillers are more hands-on with the actual distillation of product than others. Distillers may choose to be called head distiller or lead distiller until they feel they have earned the ‘master’ title. There are no official requirements. It is traditionally more of an honor than an official title. Many master distillers have a background in chemistry, agriculture and/or engineering. A few of the most well-known master bourbon distillers in Kentucky are Jimmy Russell of Wild Turkey, Chris Morris of Woodford Reserve, and Bill Samuels Jr. of Maker’s Mark. What is the best Kentucky bourbon? We’re not naming favorites! We think the best Kentucky bourbon is the one in your glass. In terms of volume, the best selling bourbons of 2016 were Jim Beam (8.03 million cases), Evan Williams (2.29 million cases), and Maker’s Mark (1.74 million cases). Many spirits competitions with different criteria rate Kentucky bourbon and whiskey including the International Spirits Competition and San Francisco World Spirits Competition. For 2017, the International Spirits Competition picked Kings County Bottled in Bond Straight Bourbon as their favorite. Kings County is made in New York state. Old Forester 1920 and 1792 Bourbon rounded out the top 3 for the United States’ best bourbon whiskey. Kentucky is home to great liquor stores, bars, restaurants and distilleries. Ask your Mint Julep Tours guide at each stop on your bourbon tour which brands and products you can find there. Some distilleries offer limited release or distillery-exclusive options on-site including single barrel bourbons. If you’re unsure of what to order out at a Kentucky bar or restaurant, many bartenders and other hospitality staff are certified bourbon stewards by the Stave & Thief Society. This means that they have completed a training program and test to show they are bourbon experts. If you would like to buy rare bourbon or a barrel of bourbon, check out our blog.